Demonstrators called for the removal of the monument and the elimination of the local police force. By Joe Trinacria·	 8/22/2017, 10:52 a.m.
After word spread throughout the city that pro-Frank Rizzo statue supporters were planning a protest outside of the Municipal Services Building on Monday afternoon, a group of counter-protesters organized by Philly for REAL Justice sprung into action. 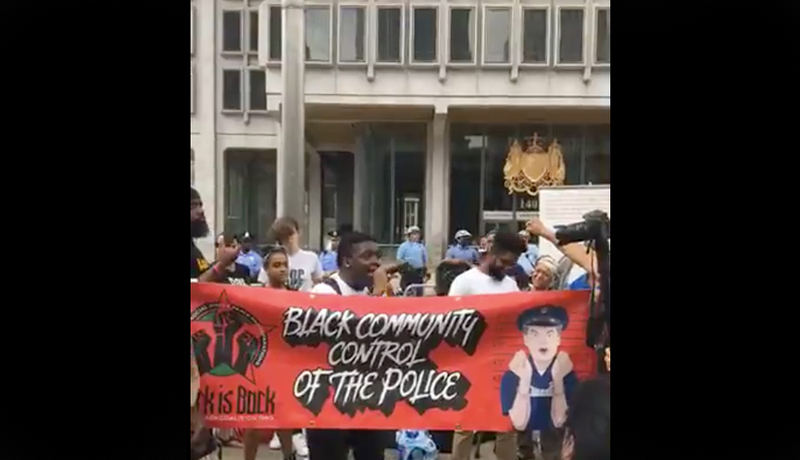 A sit-down with Mayor Kenney ultimately quashed the pro-statue demonstration, but activists on the other side of the issue still held their “Frank Rizzo Down” protest as members of the Philadelphia Police Department stood guard.